We threw a surprise party for my friend's birthday. I brought strawberry margarita cupcakes. I took my Stella & Dot bag because we thought about going out later in the night. I was able to fit shoes, a purse, two dress options and makeup with room for much more. This is a great weekend trip bag. I saw this top at J.Crew and it looks os cute on you, loving how you styled this outfit! Love the top and cute bag! 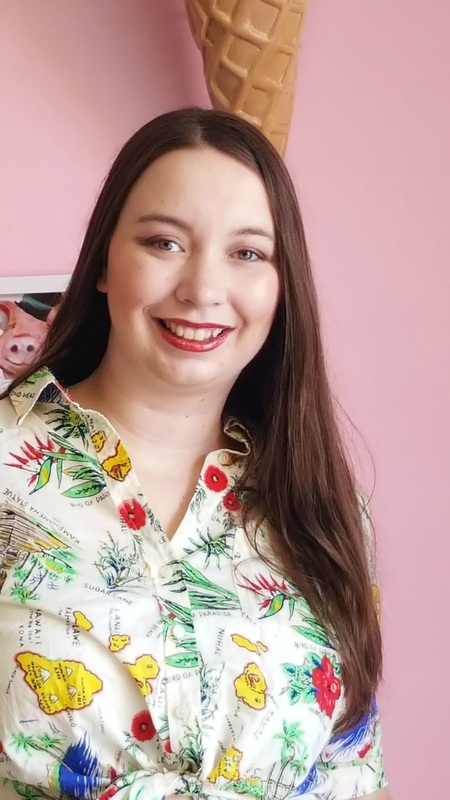 I love a knotted buttondown, and that shirt has the cutest print! 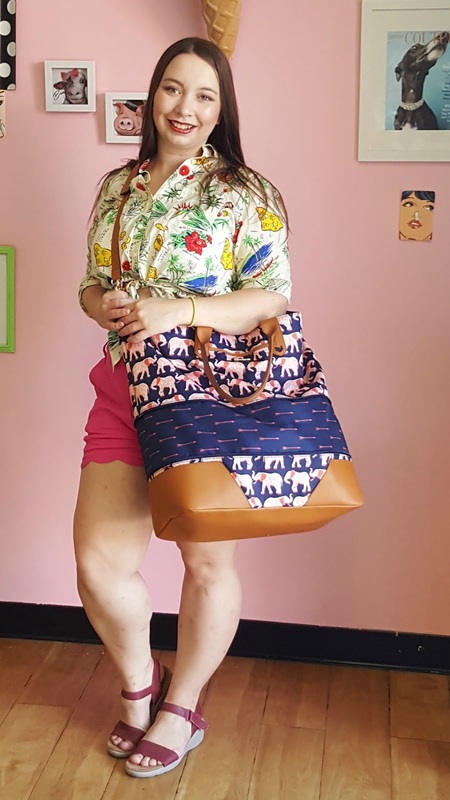 That bag is so fun, and I love the print of your shirt! I hope the surprise party was fun! 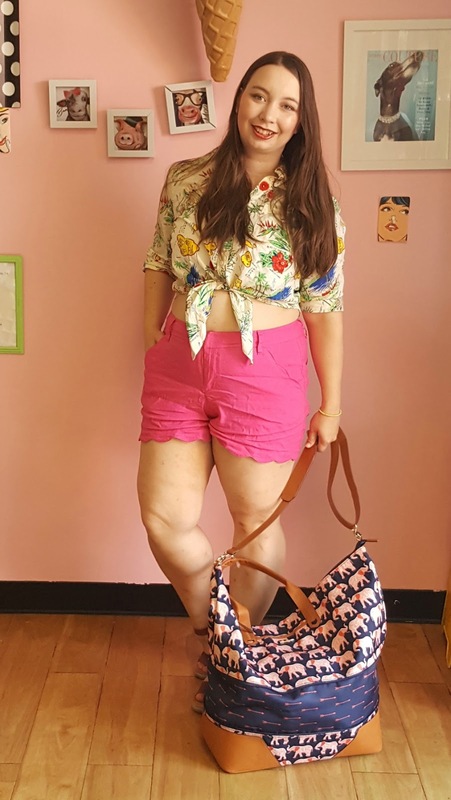 OMG what a cute scallop shorts darling! You have the most perfect and beautiful smile! Love the knotted top! And the scallops are such a fun detail on the shorts! Surprise parties are always so much fun, and those cupcakes sound awesome! Cute outfit. 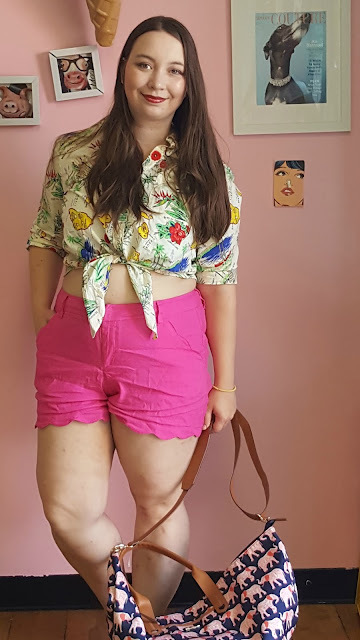 The print on this top is so cute and perfect for summer!